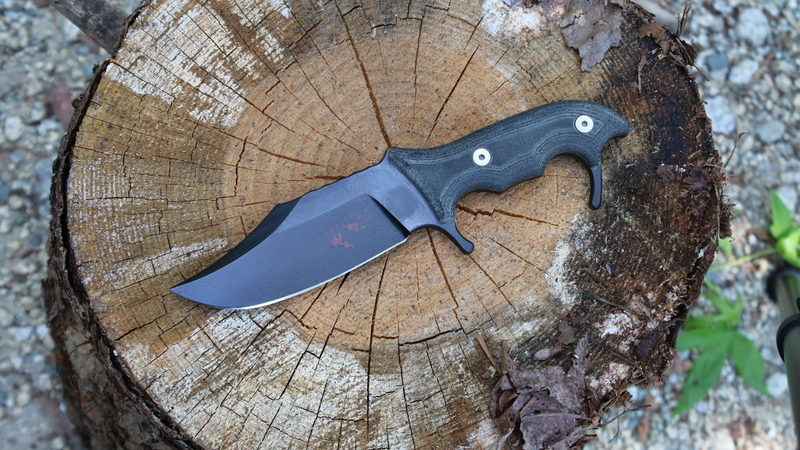 The Koala is the first version of our EDC knife series. It was initially designed for a friend who wanted to give about a dozen of them to groomsmen and family members at his wedding last August. The unique “prehensile” double hilt handle design grips the user’s hand as the fingers are spread apart, allowing it to be retained in the hand while undertaking other manual tasks. The sheath is designed to allow the user to draw the knife with an “Icepick” grip with the non dominant hand so it can be implemented in a combative situation in an instant. It may also be cross drawn by the dominant hand if it is carried on the belt in a more front position.